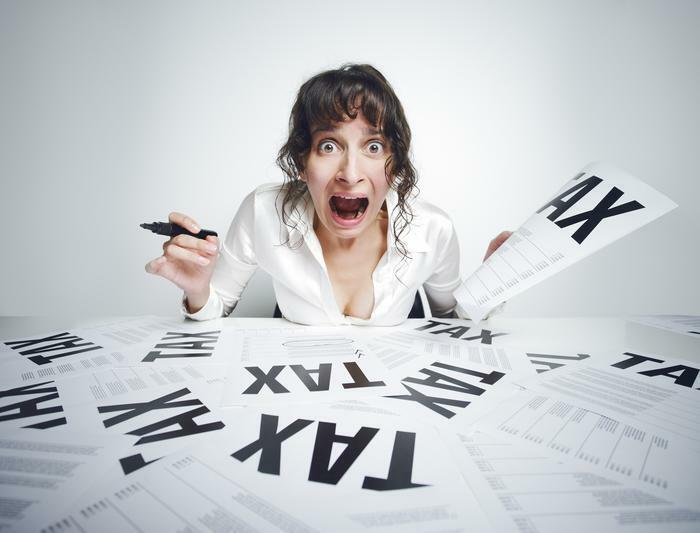 The income tax filing deadline is approaching and I'm not ready! For some folks, it's that most terrifying time of the year. The federal income tax filing deadline (April 18 this year because of a DC holiday) is just around the corner and they aren't ready. No need for despair -- there are some things you can do. First and foremost, if you really need more time, you can get it. You can avoid a late-filing penalty by requesting a tax-filing extension. There are several ways to do so, including through the Free File link on IRS.gov or by designating a payment as an extension payment and making it via one of the IRS electronic payment methods, including IRS Direct Pay. On the other hand, you can file Form 4868, Application for Extension of Time To File U.S. Income Tax Return. While an extension grants additional time to file, it does not extend the time to pay any tax due. As mentioned, April 18 is the deadline for most to pay taxes owed and avoid penalty and interest charges. If you know you're going to owe tax, you can use the aforementioned IRS Direct Pay or any of several other electronic payment options. They are secure and easy and taxpayers receive immediate confirmation of their payment. Or, mail a check or money order payable to the “United States Treasury” along with a Form 1040-V payment voucher. Taxpayers who can’t pay by April 18 often qualify to set up a monthly payment agreement with the IRS using the Online Payment Agreement option on IRS.gov. Fill in all requested Taxpayer Identification Numbers, usually Social Security numbers, including all dependents claimed. Check only one filing status and the appropriate exemption boxes. When using the tax tables, be sure to use the correct row and column for the filing status claimed and taxable income amount shown. Sign and date the return. If filing a joint return, both spouses must sign. Attach all required forms and schedules, such as Schedule A for people who itemize their deductions. In addition, attach to the front of the return all Forms W-2 and other forms reflecting withholding. Mail the return to the right address. Check Where to File on IRS.gov or the last page of the tax instructions. If mailing on Tuesday, April 18, be sure to do so early enough to meet the scheduled pick-up time and ensure a postmark before the midnight deadline. If you are among those who overpaid and are expecting a refund, the best and fastest way to get it is to have it electronically deposited into your bank or other financial account. Taxpayers can use direct deposit to deposit their refund into one, two, or even three accounts. See Form 8888, Allocation of Refund, for details. Make sure the financial institution routing and account numbers entered on the return are accurate. Incorrect numbers can cause a refund to be delayed or deposited into the wrong account. After filing, whether or not direct deposit was chosen, use “Where’s My Refund?” on IRS.gov or download the IRS2Go Mobile App to track the status of a refund. The IRS issues nine out of 10 refunds in less than 21 days. “Where’s My Refund?” provides the most up-to-date information. The tool is updated once per day, usually overnight, so checking more often will not generate new information. Calling the IRS will not yield different results from those available online, nor will ordering a tax transcript. More help is available from the IRS Services Guide. Also check the ConsumerAffairs Tax Software section for consumer and expert reviews of popular tax preparation software.